Lazur is located next to the town center. 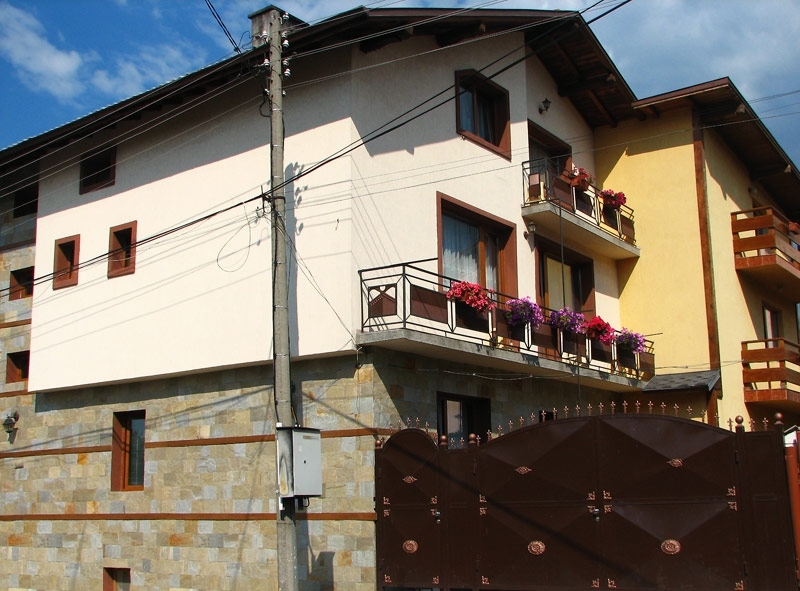 Enjoy your holiday in Bansko with a typical Bulgarian atmosphere. All rooms are furnished in a typical old Bulgarian style with ergonomic beds, wardrobes, tables, chairs, bedside tables and bedside lamps. Most rooms have balconies with lovely views of the Pirin mountains. Each room has a large TV with Cable TV. We offer our guests to enjoy their varied breakfast in our typical Bansko styled Area and hot drinks and specialties in the evening near the burning fireplace. Lazur provides transport to the gondola lift. Pick ups and drops off from the local bus and train station are available free of charge. We ensure free parking for our guests. Parking is available in front of the hotel. We hope that we will make you feel peaceful and at home. Enjoy the charm and endurance of local traditions, the warm welcome, kind regards and unforgettable atmosphere of Bansko nights in the company of old traditional Bulgarian wine and the smell of “Kapama” in our tavern or summer garden with barbecue. By booking in advance, You can enjoy the delicious dishes prepared on a grill or barbecue typical for Bansko. Lazur will leave you with the feeling that you were expected - once you come as a client, twice you are welcomed as a friend! Our small friendly house offers a summer garden with barbecue.